There's been a lot of talk about payroll and payroll efficiency, especially as more and more numbers come out to show us just how much strain it puts on each and every company. In fact, it's by far one of the most expensive aspects of doing business, yet at the same time, an it’s an absolutely unavoidable cost. It's one of the major reasons why outsourcing has come up as a topic of conversation so often. 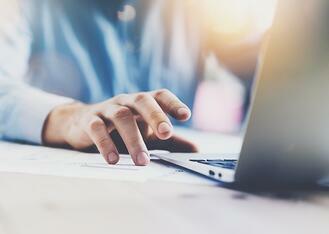 Despite the occasional negative connotation, it has actually been encouraged when it comes to peripherals—things that are not core to the operations of a business, yet necessities nonetheless. Now's the time that business is beginning to shift away from traditional ideas. We realize that focusing on our goals is a more successful use of our time and that leaves us with a decision to make. In this case, partnering with a Canadian small business payroll processor can make the difference between absolute efficiency and success, or continuing to be bogged down by background processes. In effect, when you work with a Canadian small business payroll processor, you don't have to worry about processing in-house anymore, which takes a major load off your staff, your time, and your budget. When you consider how long payroll takes—an endless cycle that only gets more complex as more employees are added, benefits are offered, expenses are considered—it's no wonder people don't switch earlier. Like many small businesses, perhaps you can't afford a full team to manage all of these things, which means you have one or maybe two people putting in the effort of five, only to have to restart at the beginning of every new pay cycle. When you outsource, you're taking a whole chunk of work off your plate and you're able to put your resources to better use. This is money you could be using for marketing or better equipment, something that could further your goals and promote growth. These are people you could have in your accounting department, or managing your higher finances. Think of all you can take back when you no longer have to expend energy working on payroll. Payroll isn't just about finance and financial planning—it's about legal compliance, accounting, human resources, management, benefits. You need to consider tax and employment law, labour rights, garnishments and deductions, expenses and overtime, vacation pay, employment insurance, CPP contributions—and that's for every single check. We often underestimate just how complicated it is, and how much time and effort goes into it. We know that errors in payroll can not only lead to employee discomfort and low morale, but in extreme cases, can even be cause for fines and penalties. A simple misclassification error can even lead to massive lawsuits, horrible press, and even jail time if found guilty of contempt. Partnering with a Canadian small business payroll processor is an exercise in simplification and risk management. With less to worry about and less errors, you're left with an efficient process that works for everyone, with no headaches. Most companies simply can't afford to send their workers for constant training, updating their skills every time a law or method changes. Workshops are expensive and it piles up—even upgrading software on a regular basis can take a toll. A Canadian small business payroll processor, on the other hand, is constantly up-to-date and always comes equipped with the latest technology. This keeps you and your business ahead of the curve, ready to take on whatever changes may happen. This means you can trust your important peripherals with them—they know what they're doing, they always have your back, and they're ready for anything. For a foreign small business, it's easy to overlook the devil in the details of Canadian legal compliance. It can be a huge set back for an American startup for example, when trying to expand into the Canadian market only to find out that there are a number of regulations which are at odds with the American tax laws. If you’ve already hired and trained an American team to deal with the American legal compliance, is it feasible to train that same team to deal with Canadian compliance? It will be time consuming and costly, that’s for sure. That's why partnering with a Canadian payroll processor skips that whole process, with a capable team that has the experience helping businesses like yours adapt to a new country. It also means that you will be able to provide more security for your company, as the partner won’t have opportunity to leave your small business with any sensitive information that an in-house HR management team might leave with. This frees you up to focus on consolidating your own business team and develop a company culture. Often with a Canadian small business payroll processor, they're going to be able to fulfill the role of Employer of Record, and that means looking into recruiting a local team for more geographically dependent tasks for your new international goals. The best part? They will provide well-tested candidates to fulfill those roles. No need to send out cold calls and receive potential employees with phony work resumes. Utilizing your outsource partner in this way will reduce stress and potentially save you money. A payroll processor can negotiate better pay rates and benefits with local insurance companies that a foreign SMB (small-to-medium business) wouldn’t be able to receive, or would simply miss. This is going to be able to keep those much-needed high quality recruits that will help step up your company's profile. With 41% of American small businesses already using an outsourced payroll provider, it doesn't seem like such a far stretch to have a localized team for your expanding enterprise. With any outsourced payroll processor, you're going to be able to have a multifaceted partner who will provide financial expertise that you, so that you can focus on your core operations and bottom line. Alongside the flat-rate fee that most payroll processors provide, you'll be able to receive improved benefits and insurance packages and avoid any legal fiascos, since they'll have already navigated the byzantine Canadian laws and tax regulations. With the addition of a Canadian small business payroll processor, you can rest assured that your company will be able to focus on growth. The world is a big place, but in terms of business, it seems to be getting smaller every day. Businesses are expanding into new territory now more than ever, finding new markets and fresh talent, and pushing the boundaries of their own growth. There are a lot of upsides to expansion, but of course, there are also obstacles. 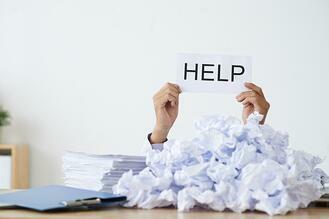 Many businesses, especially smaller ones, have trouble knowing where to start. Canadian payroll providers are organizations specifically designed to help growth—whether it's a full business expansion into a new country, or help with handling things like legal compliance, payroll, and human resources. A lot of companies have been turning to what they call “strategic outsourcing” in order to promote all varieties of growth, and engaging a payroll provider is the perfect place to start. The biggest hurdle when it comes to business expansion is administrative. Registering your business, setting up infrastructure, and learning new laws can be both exhausting and confusing for first-timers. This is where a Canadian payroll provider really shines. When you partner with a payroll provider, you get the benefit of their infrastructure—banking, financial, and insurance, and more. Since they're already established in their country of origin, you can skip the entire process of registering for a business number, setting up complex tax accounts with the Canadian Revenue Agency, and more—you can simply get started. When it comes time to hire employees, a payroll provider can contract the employees to you. This means they pay them according to your standards, insure them appropriately, and handle all human resources tasks associated with them according to Canadian law, taking a lot of pressure off of you and your business. All of this helps to streamline a process that can take weeks or months, and saves you an incredible amount of time, money, and resources. A problem shared by both small and large companies is legal compliance. Laws change constantly, and can shift depending on the region you operate in. Laws affect every aspect of your business—how you pay your employees, when you pay them, how you operate, and when you need to file your taxes. Because of how complicated it is, a lot of companies can struggle and often need help smoothing everything out. A Canadian payroll provider is a perfect solution. Whether you don't have the assets to retain a team of lawyers to aid you, or you simply don't have the time, payroll providers are experts in more than just payroll. Navigating strict legal compliance is one of their main duties and everything they do for you will be done in strict accordance with the law. They'll ensure you're covered when it comes to new tax rates and deadlines, new human resources commitments, and in terms of payroll and labour codes. Effectively, a partnership with a payroll provider is a great exercise in risk management. Most of all, Canadian payroll providers are well known for their commitment to support services—things like payroll processing and human resources. Payroll (and HR, for that matter) can be some of the most expensive aspects of business, whether the company is small or large, and it's becoming an increasing frustration to many. Trusting a team of experts with things like bookkeeping, taxes, labour conditions, pay cycles and more is a great way to remove waste from your company. Instead of burning away hours every week and copious amounts of assets, delegate these peripherals to specialists. That way, you can focus on the most important things: your operations. The subject of how to improve payroll efficiency is one that plagues businesses both large and small. Payroll processing is often one of the most expensive aspects of non-core activity business operations, and that means that every quarter the subject is raised again: how can we improve efficiency? How can we cut down on time and cost? These are important questions and vital to any business, especially those trying to concentrate on core operations. When we improve payroll efficiency, we find we're able to improve other areas of the business as well—but where to start? It's an easier answer than you might expect. When it comes to payroll processing, no one does it better than a Canadian payroll provider. More businesses than ever have been coming to rely on them for their expertise, professionalism, and most importantly, their efficiency. Here's just a few reasons why. The first step to increasing efficiency in any process by cutting down on whatever is unnecessary. It can mean trimming a swollen budget or reallocating assets that would be better spent somewhere else. When it comes to how to improve payroll efficiency, the answer is simple: a Canadian payroll provider doesn't just deal with payroll, they deal with human resources and legal aspects as well. Imagine being able to roll three things into one with a single team that doesn't consume any of your own office space or resources. For a simple invoice, you get the benefit of various important services without the cost of hiring full teams. 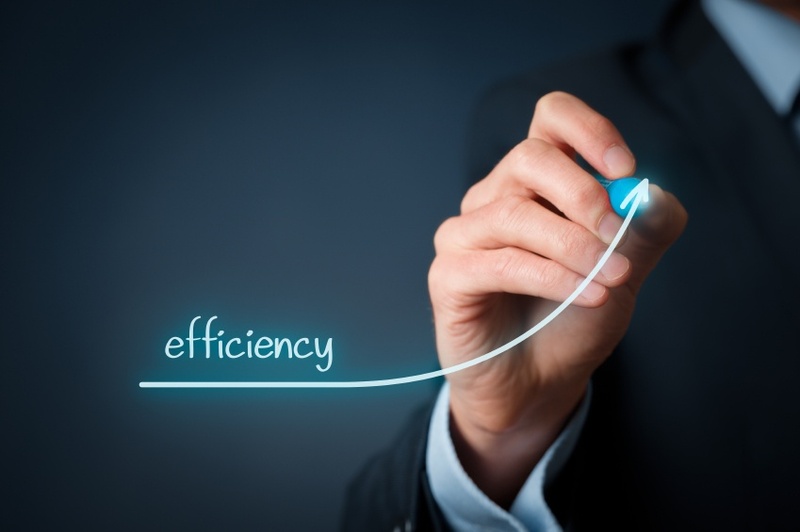 For true efficiency, the more money spent on core operations, the better. That means you want to spend less on peripheral aspects, no matter how critical they are. When you work with a payroll provider, you can take a great deal off your plate and go back to focusing on the important things. In the age of communication and technology, things change at the speed of light and it can be hard to keep up. Using old technology and outdated information can seriously make your business less efficient, but it's also expensive and difficult to constantly keep up. Most companies can't afford to update their equipment and tools on a constant basis, or send their employees off for training sessions every time there's a change in the law. 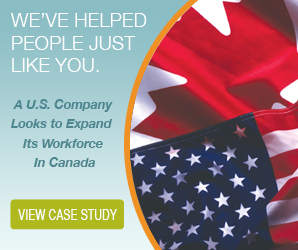 A Canadian payroll provider, on the other hand, is a fantastic option for innovation. When laws change year to year (sometimes even month to month), they're the ones on the cutting edge, ensuring they fully understand those changes as soon as humanly possible. They keep the best tools and software and never let it become outdated, and their employees are well-trained and ready to learn new things the moment they become available. Effectively, any time a new method appears that can improve payroll efficiency, they're already on it—and if you're on their team, that means you are too. Without a doubt, one of the most frustrating aspects of payroll processing is the legal component. Each country and region has their own laws, and sometimes they even vary from city to city. Payroll providers don't just blindly handle payroll, they ensure that all their work for you is done to the letter of the law, including filing your taxes. They'll concern themselves with changes to disability and accessibility laws, human rights laws, employment and labour codes, and ensure that every process is done in accordance with those regulations. This minimizes your risk of making severe, costly errors and keeps you from worrying about the small stuff. By now, you've likely heard about the benefits of partnering with Canadian payroll providers, as they’re becoming increasingly popular in the business world. Organizations like Forbes, Entrepreneur, and more have been discussing the perks of outsourcing certain departments, like payroll and human resources, in order to better focus on core business operations. That said, it can be hard to find the solid information you need. What exactly can a Canadian payroll provider offer? How does it help the business? All good questions, and questions with even better answers. 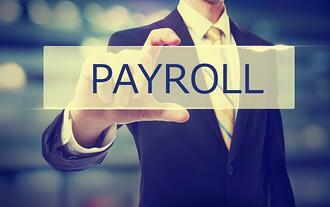 We've laid out several of the top reasons why people continue to work with payroll providers. First and foremost, a Canadian payroll provider is an expert in all things payroll. Payroll is no doubt one of the most critical aspects of running a business, but, as it's been noted, it plays a very small role in most businesses core goals. That has led a lot of people to wonder if outsourcing can help them work more effectively, and frankly, it often does. When you work with an independent payroll service, everything is taken care of on your behalf—you no longer need to worry about costly errors on paycheques, missing deadlines, or even filing your taxes. This means medical recordkeeping, labour conditions, bookkeeping, regular pay cycles and remittances, garnishments, bonuses—all reflected on a single invoice for you to go over. Not only do you free up your own resources for more important tasks, but it's also an exercise in risk management. Less mistakes means less worry. There's no doubt that legal compliance is a huge pain for most, especially for smaller businesses who can't afford to hire lawyers or experts to guide them. In Canada alone, there are at least three different laws in different provinces on how often to pay your workers, which can make it difficult to navigate alone. A Canadian payroll provider, on the other hand, is not just a payroll expert, but a legal expert as well. Specifically, they can ensure that all of your payroll, human resources, and other tasks are up to code and fully compliant. Because they have a whole team of experts on their side (and your side, once you partner with them), you can feel secure in knowing you're compliant from the start. No nasty surprises down the line. Business expansion is becoming more prominent as years go on, and for those companies looking to expand into another country, challenges are abound. Another key aspect of a payroll provider is their ability to aid companies in their move—because they have all of their existing infrastructure and official registration, they can help you streamline the process. By hiring employees on your behalf and contracting them to you, you can skirt the mountains of paperwork involved in a move and simply get started in your new location quicker and easier. They understand local laws and customs, they can file foreign taxes on your behalf and best of all, they can take the biggest headache out of the equation—the set up. It's not just that laws are constantly changing, it's technology and methodology, too. We're in an era where out-of-date information and tools can make or break an entire process, which means companies that are falling behind are at high risk. The ability to constantly train new (or existing) employees each year is an expensive one, and one that many simply can't afford. Payroll providers, on the other hand, live and breathe this kind of thing. That means they have all the latest technology, cutting edge information, and full understanding of new laws. 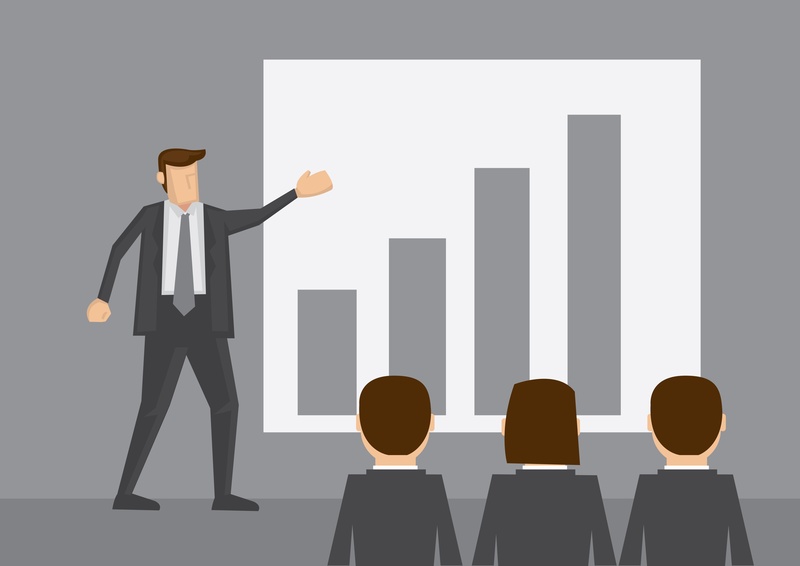 You can save a bundle on innovative training, and reap the rewards, too. Consider engaging a Canadian payroll provider today.